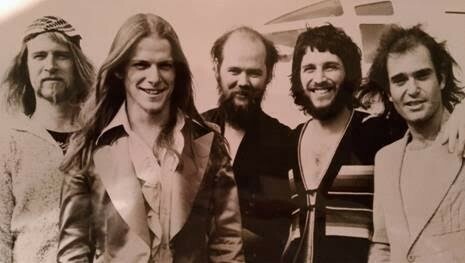 The Dixie Dregs, back in the day. When guitarist Steve Morse and bassist Andy West formed Dixie Grit, a jazz/prog band that would morph into the Dixie Dregs, back in 1970, they had modest aspirations. 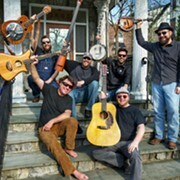 Morse and West might not have been well-suited to playing weddings, but they noticed that people responded favorably when they played their original tunes. That group would splinter, however, leaving Morse and West wondering what their next move would be. 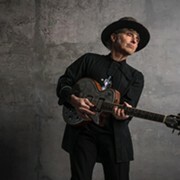 After Morse enrolled at University of Miami's School of Music in 1971, he and West put together the Dixie Dregs, a group that naturally evolved from Dixie Grit. In 1976, the band made its debut with The Great Spectacular, a heady instrumental album that instantly won over a cult following with tracks such as the lurching “Refried Funky Chicken,” a tune distinguished by Southern rock-inspired guitar solos, fierce violin and snappy bass riffs. Thanks to Morse’s persistence, the band remained a musical oddity even after signing a deal with Capricorn Records that same year. Morse would eventually take over production duties with 1980’s Dregs of the Earth and 1981’s Unsung Heroes. After a number of lineup changes throughout the past decades, the original members along with keyboardist Steve Davidowski have teamed up for the Dawn of the Dregs U.S. Tour. The performances will mark the first time in 40 years that this lineup has shared the stage. A fan poll helped the group determine the bulk of the set list and Morse says that having Davidowski with the group means they’ll play a few selections from 1977's Free Fall, an album he recorded with the band. 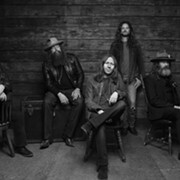 Morse says the band’s unwillingness to compromise has helped ensure a loyal fanbase.